East Phillips Park	East Phillips Park is just South of Downtown Minneapolis, and a place for nearby residents to call home. 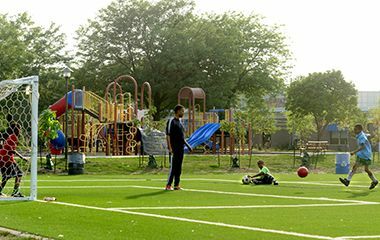 Master Plan: East Phillips Park underwent a master planning process that concluded in 2010 with the implementation of many park facilities. Therefore, a new master plan for East Phillips was not included in the South Service Area Master Plan. Instead, a full master plan for the park will be performed when the first major asset in the park needs replacement, expected around 2020. Name: The name comes from the neighborhood in which the park is located. The name comes from the Phillips School in the neighborhood, which was named for abolitionist orator Wendell Phillips. 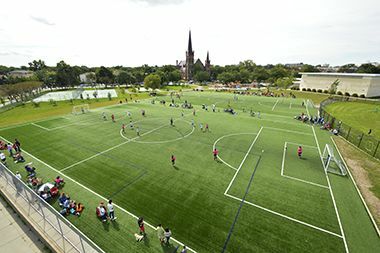 The park was acquired from the Minneapolis Community Development Agency (MCDA) in 1977. The land was available after the MCDA decided not to develop the site for housing. 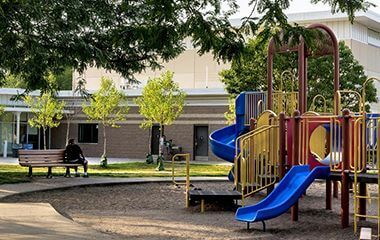 Development of the park began in 1978 with construction of playing fields, playgrounds and a wading pool, as well as general landscaping. A shelter was built in the park in 1979. Additional improvements continued into 1981 with the construction of tennis courts and additional paths. At the time the land was acquired the Police Athletic Council used a concrete block building on the site. The park board leased that building to the American Indian Movement when it acquired the land. In 2006 the building was demolished due to structural deterioration. 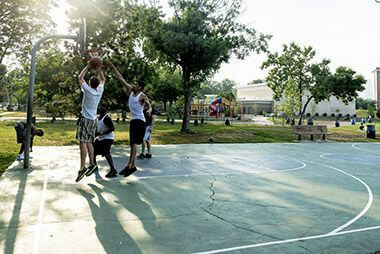 In 1997, the basketball courts in the park were refurbished with a grant from the Minnesota Timberwolves. 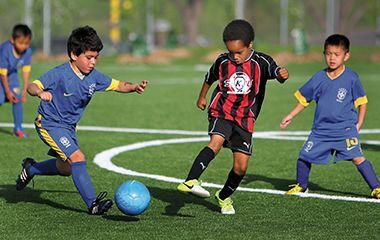 In 2007, the state legislature approved funds for a new community center in the park. Ground was broken for the new center in late 2009 and the center was substantially completed in 2010. The 14,000-square foot center includes a gym, teen center, computer room, kitchen and multi-purpose rooms. 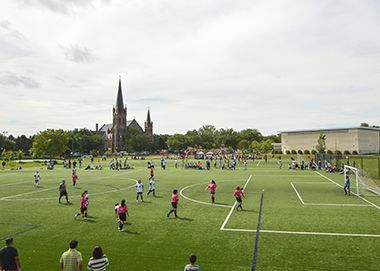 In 2010 the playing fields at the park were also upgraded. The outdoor hard courts were resurfaced in 2011. In 2016, solar panels were installed on the roof of the gym. In 2013, the Park Board’s annual Arbor Day celebration was held at East Phillips Park. More than 200 trees representing 40 different species were planted with the help of local volunteers. 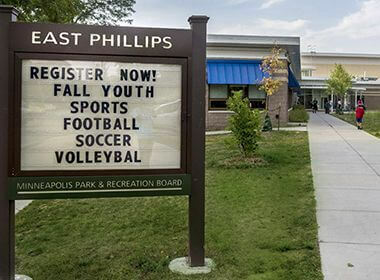 The park includes East Phillips Cultural and Community Center.